A matching set of 6 Danish mid-century dining chairs by Niels Moller for J.L. MØller. Model # 75. 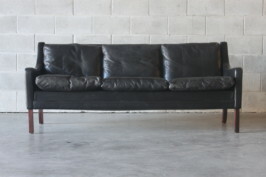 Beautifully crafted in solid teak with new black covers and organic back rests. 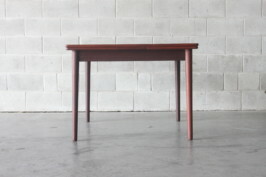 Would look perfect with our Johannes Anderson dining table in teak.